What an amazing city! 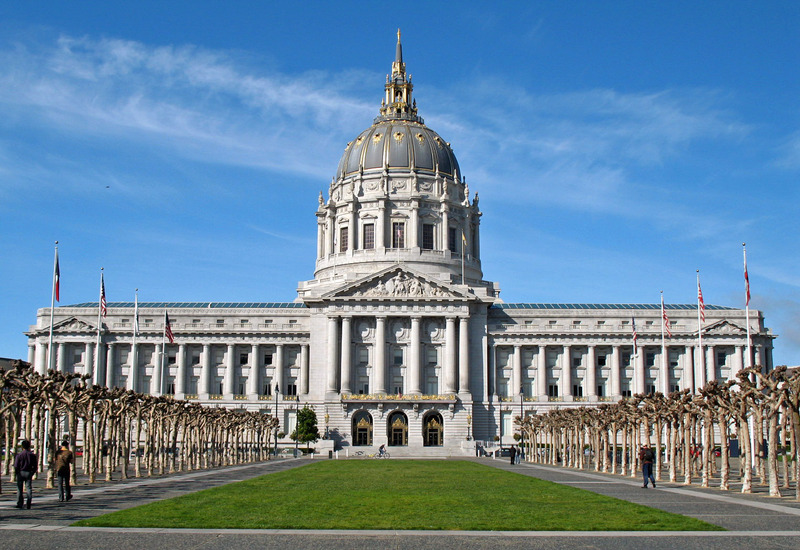 I especially loved Hayes Valley! It reminded me so much of Nice, France, with the lush greenery, pastel-painted buildings, palm trees and beautiful ocean scenes from many piers off the coastline. Home of the famous "Painted Ladies", where the outside opening scene of Full House is filmed. 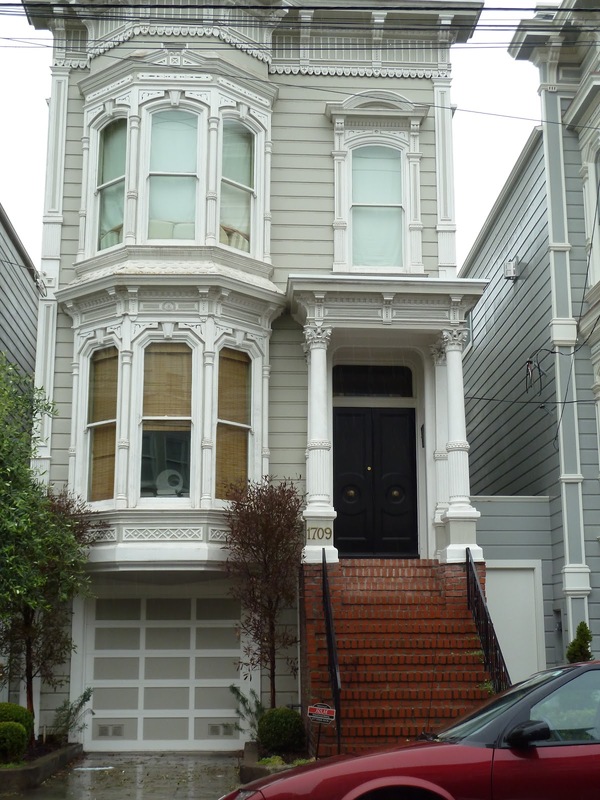 The outside of one of these famous homes was actually supposed to be the Full House's house - however, the show was actually filmed on the inside of this home (pictured left), interestingly enough! 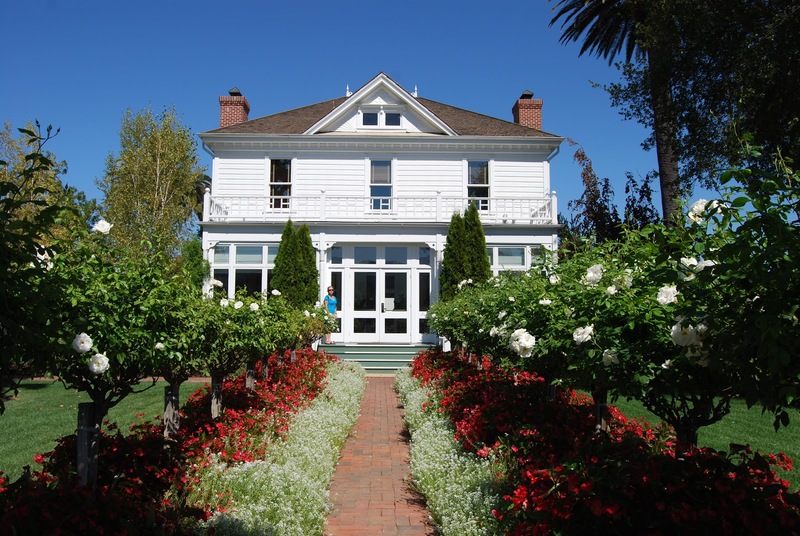 We also had a chance to drive up to Napa Valley, where all the famous vineyards reside. What a beautiful landscape and homes. 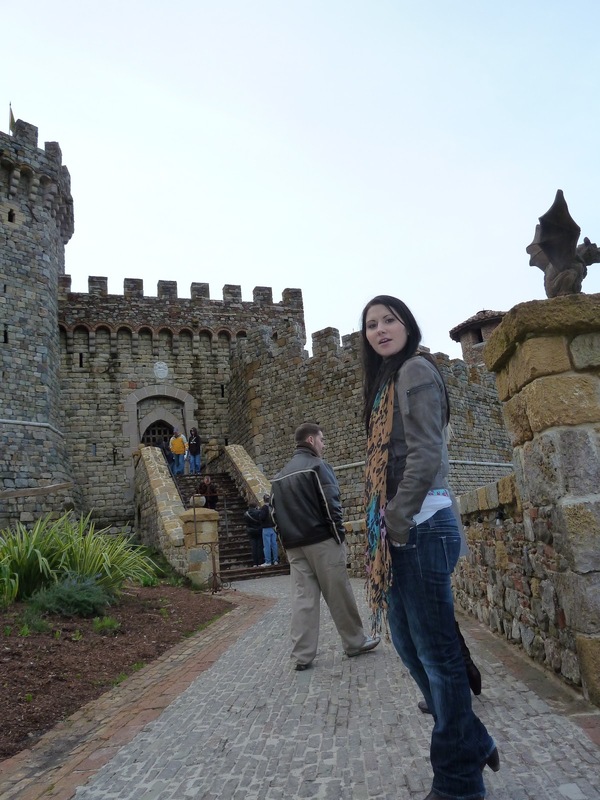 It was like I was in the deep south mixed in with a Tuscan flair. All of them were quite lovely (Hall, Heitz,Castello di Amorosa, Rubicon Estate). My favourite winery would have to have been the one owned by the famous Francis Ford Coppola; Rubicon Estate, formerly known as Niebaum - Coppola Estate. They must have insane amounts of money to make movies and wine. Sofia even has her own blanc de blancs, rose, and Riesling that I really want to try. 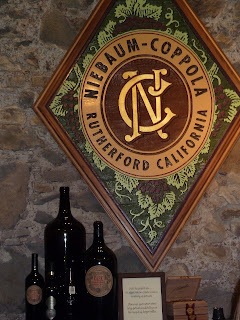 The world famous and most expensive "Rubicon" was the smoothest, most lovely of wines I have ever tried. 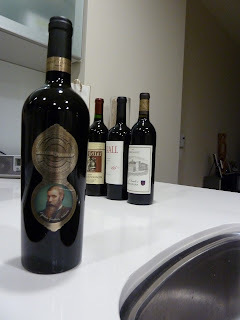 My brother also bought a few other great tasting wines and my other favourite from the same estate, named after the Captain himself - which was also so damn smooth! We had it over a Ruth Chris's steak which was a match made in food heaven! 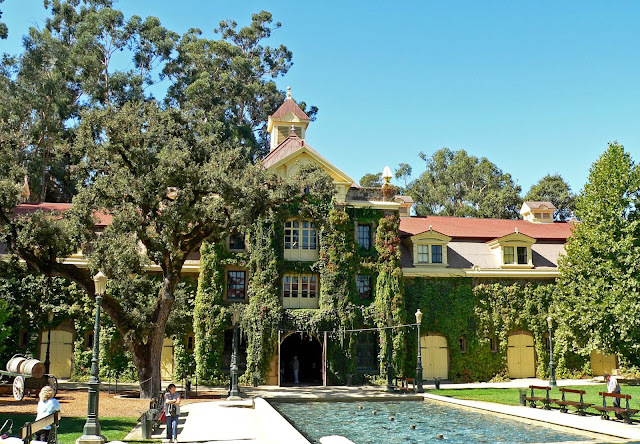 If you go to San Fran, you have to check out Napa Valley, as the drive in itself was so beautiful! 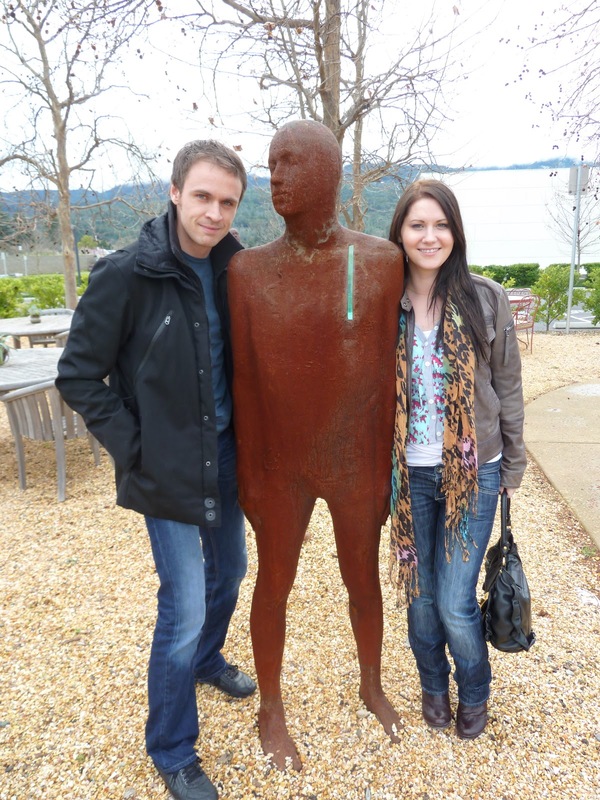 At the Hall vineyard, we had to take a picture with their steel men hanging around outside, as it reminded us so much of the Norwegian men that I wrote about long ago (the Broken Column art project of 21 rust men). They also had some lovely wines - and their cream of the crop is their red-labelled Kathryn Hall. 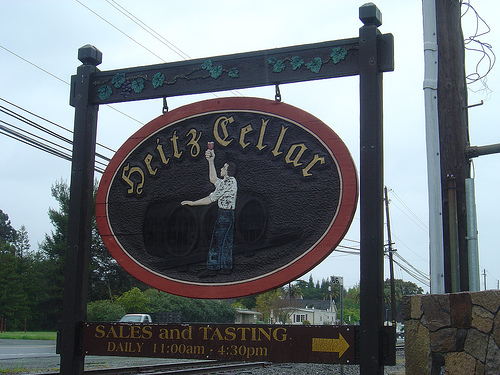 Heitz Cellar was offering free wine tasting because it was their 50 year anniversary. Martha's Vineyard Cabernet Sauvignon 2006 was also uber delicious and the smell was sooo lovely. The wine tasting was really good here though! How could I forget the breakfast that was so good - I asked to go again the next day and for the exact same meal! STACKS! On Sunday, after our second Stacks date, I got to taste the best macarons in the world! And best of all; they are gluten-free! 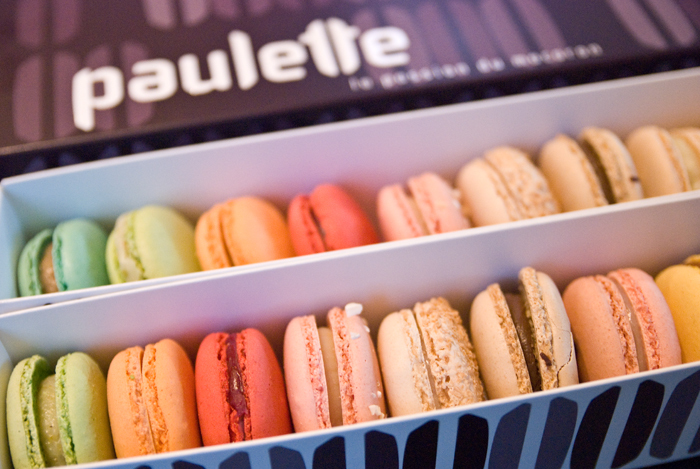 Yes, Paulette macarons would be my new hangout (doughnut shop styles) if it came to me wanting to chill for a week there, which I can see now as easily done. So soft and so fresh - just melt in your mouth goodness. Now I am just teasing myself, because I could really go for 1 or 2 right now - as they are just the perfect size! After that we headed to Union Square where we checked out some shops and just enjoyed the only proper sunny day we had there. They had some lovely Opera singers out on the streets singing - that was a nice walking accompaniment. Later on we headed out to the famous Pier 39 where we got to see the sea lions and checked out Alcatraz from afar (we need to check it out for real next time) and a super nice Aquarium called Aquarium of the Bay, where I got to touch a different type of sting-ray! I touched one in England named Pancake but this certain breed looked more like a manta-ray, but smaller. They always look like they are smiling underneath! I also touched a couple different types of live starfish - because a little boy was daring me (thank you for the push, kid) and live coral. I always get such a rush when I can do things like that. I have a huge respect for underwater creatures and I am OK with the space we have between them and us. They are so beautiful and relaxing to look at! It was also super awesome going underneath them, while we went through a moving, aquatic tunnel. You really felt like you were in there - and sometimes that was a little frightening. I'll include a video! Oh! 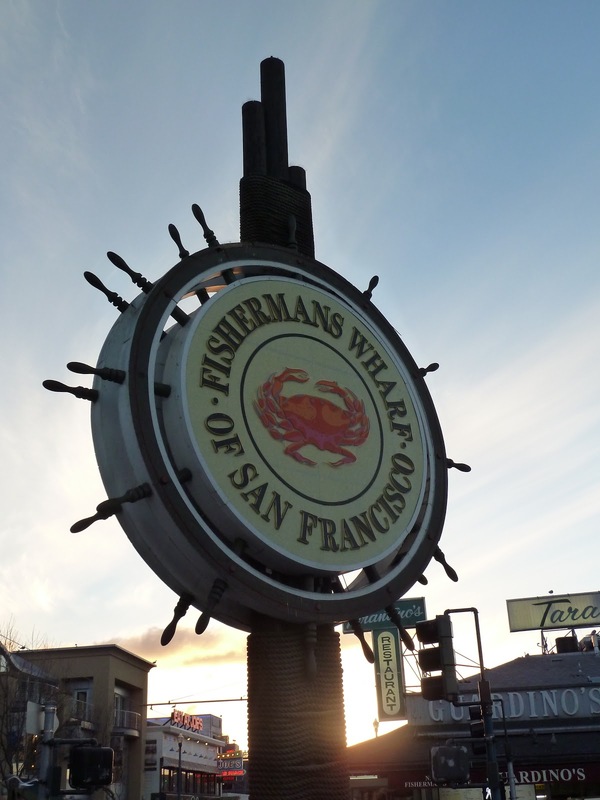 I also forgot that we walked over to Fisherman's Wharf! We walked by these really cute and world famous sourdough animal-shaped bread loaves at the Boudin Bakery. I wish I wasn't gluten intolerant so I could try this sourdough goodness! That night (and after an hour and a half spent waiting for a table) - we got to try the world famous (and might I add ridiculously busy) Cheesecake Factory. I was impressed with my meal - but unimpressed with the manager and the lack of knowledge anyone had about food allergies. It's one thing to ask a waiter and they don't know - which is totally fine - but when the manager doesn't know ... well, that is just bad news. Unfortunately, I didn't want to risk trying any of the cheesecakes - and the cheese in itself would have done a number on my tummy anyways. But still - I wish they knew. They do make a mean strawberry daiquiri though! San Francisco is a little French with a hint of Southern charm - basically everything I love! And it's interesting to know that the city itself is so small! Just a little bigger than London, Ontario, which is crazy! 800,000 people live there. However, if you include the area around, there's more than 7 million people - and I was informed that the population of the city itself basically doubles during the workdays - as people commute in from the area around. My brother and his fiancee have such an awesome apartment with huge windows - looking out at the wonderfully lit city hall. I can't wait to visit them again! 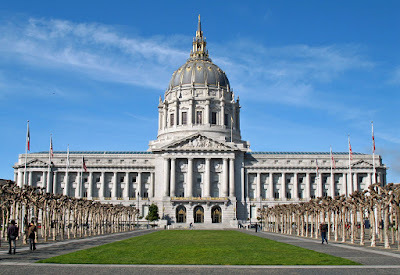 If you're looking for a really wicked city loaded with lovely architectural history - definitely check out San Francisco - you'll love it!